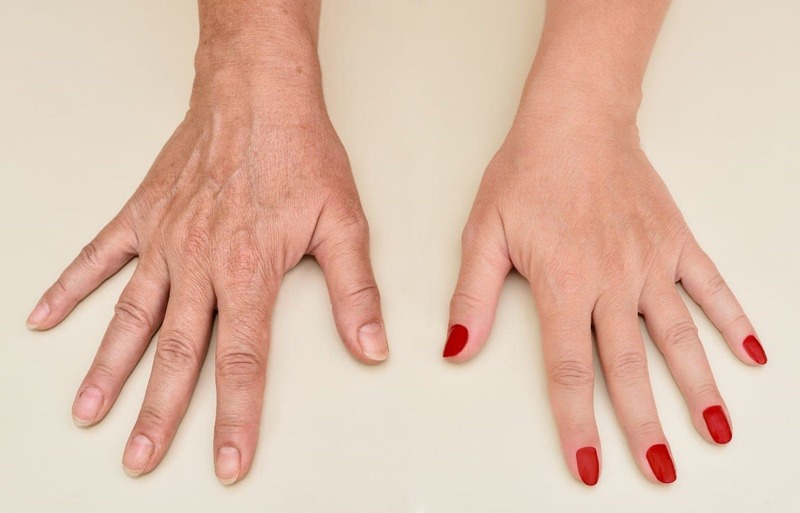 What is hand rejuvenation treatment like? At Re:Nu 180 in Southington we take great care to make sure your hand rejuvenation treatment is comfortable and tailored to the results you want. Prior to treatment our medical director, Christina Baden, will conduct a consultation with you to understand your concerns and goals of treatment. Based on your concerns and the amount of volume loss in your hands, we will recommend a treatment plan and will answer any questions you may have about hand rejuvenation treatment. Before treatment we numb the areas of the hand to be treated with a topical cream to ensure minimal to no discomfort. Our practitioner will then administer a series of injections to different areas of the hand. The hand rejuvenation treatment with Restylane Lyft is quick and generally takes under 30 minutes. After the injection process is complete the area treated will be massaged. Side effects are generally minimal*, but can include redness, bruising, swelling, or tenderness. Side effects generally resolve within hours to days following treatment. No downtime is required after hand rejuvenation treatment with Restylane Lyft and you can return to most normal activities right away. We can answer any questions you may have about treatment and side effects during your consultation and will provide you with aftercare instructions following your appointment.